Here are five strategies that can help you keep your peace of mind amid the uncertainty over the direction of the housing market. 1. Plan to live in your home for at least 10 years. Many rookies homebuyers make mistakes. Adding value to your home is the number one concern for most homeowners. It doesn’t matter if you’re prepping to sell or looking to build long-term equity, knowing the right renos to invest in is important to ensure you get the most bang for your reno buck. Get Your Offer Accepted. The First Time. 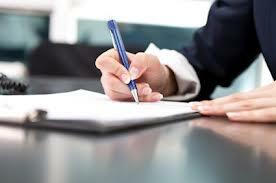 Writing a competitive offer when buying a home allows you to get your offer accepted. The first time. Having a Realtor on your side who not only knows the local community and its housing market, but also how to help offer you advice on writing a great offer the first time is key. I have sold a property at 2342 COLONIAL DR in Port Coquitlam. I have listed a new property at 54 101 FRASER ST in Port Moody. Every homeowner must pay for routine home maintenance, such as replacing worn-out plumbing components or staining the deck, but some choose to make improvements with the intention of increasing the home's value. Certain projects, such as adding a well thought-out family room - or other functional space - can be a wise investment, as they do add to the value of the home. Other projects, however, allow little opportunity to recover the costs when it's time to sell. Finance Minister Jim Flaherty has been concerned about the sale of 30-year uninsured mortgages because the risks from some of these loans are ultimately being transferred from banks to taxpayers – and that’s part of the reason why the banking regulator is now weighing changes, sources say. The George Pearson Centre has become an election issue as the property is for sale by the Liberals and the NDP suggest it would be better to keep the land for housing. Expensive housing is nothing new in B.C. and will be a challenge for any political party voted in. It's old news that it's expensive to live in Vancouver, where splashy headlines about terrible housing affordability are the norm. The good news is that Port Coquitlam homeowners are expected to pay less in property taxes this year than the city had initially planned. The bad news is that the same taxpayers may have forked over more than was necessary in 2012. A review of council’s approved funding decisions conducted by the city’s finance staff found that a planned infrastructure reserve transfer was duplicated in this year’s financial plan.